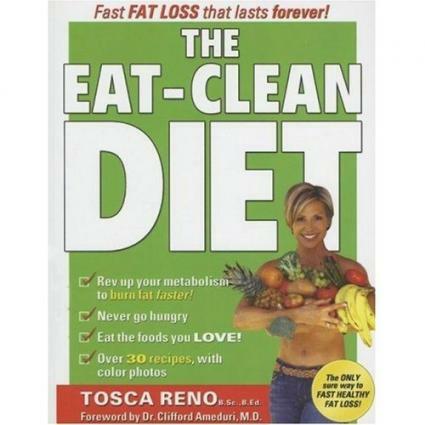 The Eat-Clean Diet was created by fitness model and magazine columnist Tosca Reno. After struggling with her weight for years, she made amazing changes in her eating habits; so amazing that she lost weight and was able to become a fitness model at 40 years of age! Truly an inspiration and living proof that it's never too late, Ms. Reno agreed to an interview with LoveToKnow to share her plan for losing fat and getting healthy. How did you develop this diet? 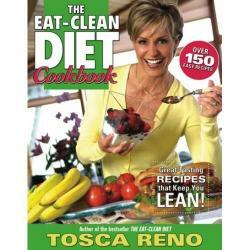 Tosca Reno: The Eat-Clean Diet is based on principles followed by body builders and figure and fitness competitors. These athletes know the best way to create an amazing physique with proper, clean eating and nutrition. Can you explain the basic principles of this diet? Eat five to six small meals spread out by two to three hours every day. Carry a cooler packed with clean-eating foods to get you through the day. Avoid pre-packaged, over-processed refined foods. Avoid white sugar and flour, saturated and trans fats, colas, juices and alcohol. Consume healthy fats (EFA), fresh fruits and veggies! Stick to proper portion sizes. Can anyone follow this diet? TR: This diet is suitable for everyone-adults and children alike. Those with health concerns may even find this diet alleviates some of their symptoms. Individuals with food allergies or restriction can tailor clean eating to meet their needs. It is really more of a lifestyle than a diet, and this spells success long-term. How does this plan compare to the popular low-carb diets? TR: The Eat-Clean Diet is not a low carb diet! It differs from diet fads because it is a lifestyle change. Also, it does not involve unhealthy food restriction. Complex carbs from fresh fruits, vegetables and whole grains are consumed in conjunction with lean proteins from nuts, legumes, soy and soy-based products, low fat dairy, fish and lean meat and healthy fats from nuts, fish and oils. Is this an affordable diet? TR: It is absolutely affordable! All it requires is regular grocery shopping. Since the basis of clean eating is whole grains, fresh fruits and vegetables, and lean meats or protein sources, you may even find that you spend less than you normally would when mainly purchasing pre-packaged, over-processed foods and pre-made meals. Typically, how many calories are consumed a day? TR: First of all, eating clean does not advocate calorie counting, but on average, each meal consists of about 300 to 400 calories. Multiply this by six meals and you are consuming 1800 to 2400 calories each day. The variance comes from how "clean" the person is keeping their diet and the demands of their physical build and activity level. Clean eating helps you get in touch with your body's ebb and flow of hunger and satiation. You learn how to listen to those signals again. What types of foods are off limits? TR: I like to call them Ugly Foods. I have a list of about 10 in the book ranging from refined sugars (think donuts and marshmallow fluff, colas, juices, sugary cereals and candy) to saturated and trans fats (bacon, deli meats, processed meats, French fries, chips and other fried foods). My favorite Ugly Food is Twinkies. These treats are so Ugly that they don't even decompose in the dump! Ewww! How time consuming is meal planning? TR: Once you get into the habit of eating clean, meal planning takes no longer than creating any other meal. I usually pack my cooler with a day's worth of food in 10 minutes and prepare dinner for my family in 30 minutes. As long as you have all of your clean-eating foods in stock, you will spend little time preparing meals.I am also a strong believer in planned leftovers, which alleviates the need to plan every single meal. The Eat-Clean Diet book contains two weeks of menus and 30 recipes; while the recently debuted Eat-Clean Diet Cookbook contains over 150 recipes to recharge meal preparation. Do you have to prepare meals separate from the rest of the family? TR: Absolutely not! What's on the table is what my family is eating. Otherwise they can make it themselves. As a result, my whole family eats clean and I haven't heard a complaint yet. Since clean eating does not restrict food groups, it is completely safe for your whole family, including children. They will not be deprived of any vital nutrients. Is the Eat-Clean Diet Cookbook necessary to follow your plan? The cookbook makes the diet even easier! TR: It's not necessary but it certainly helps. You wouldn't believe the wide variety of choices available to clean eaters. They are all laid out in an easy-to-use format in the Eat-Clean Diet Cookbook. Of course, the meals are delicious too. There is no boredom or repetitiveness involved in clean eating. There are also menus for clean eating celebratory meals, such as Thanksgiving. Who knew you could eat clean over the holidays? What would be a typical menu for a day? Meal 1 (7am): Six boiled/scrambled egg whites; one cup cooked oatmeal with one tablespoon each of wheat germ, bee pollen and flaxseed, and a half cup of mixed berries; one cup black coffee or tea; one liter of water. Meal 2 (10am): One grilled chicken breast in a whole wheat wrap; raw carrots and cucumber; 500 ml of water. Meal 3 (12:30pm): Mixed green salad with cucumbers, tomatoes, carrots and peppers but no dressing; one cup water-packed tuna; one medium apple; one cup green tea and 500 ml water. Meal 4 (3pm): Five ounces lean, cooked chicken breast; a half cup steamed veggies and 500 ml water. Meal 5 (6pm): Half a baked sweet potato; one cup steamed vegetables; five ounces grilled salmon; green tea and 500ml water. Meal 6 (last meal of the day): Half a cup of low-fat yogurt with chopped apple; 500 ml water and/or herbal tea. Can you tell us more about the cookbook? TR: The Eat-Clean Diet Cookbook was a labor of love born out of demand from those who read the Eat-Clean Diet Book. I have shared family recipes dear to my heart, and I know for sure that even if you don't eat clean, you will want to try out these recipes. I am no chef, but I love to cook and put excellent food on the table. It is a satisfying experience for me and my family. I am very excited about the cookbook. It is full of the most delicious recipes, all based on clean eating principles. Of course, I do include a section on eating clean desserts, such as my famous oatmeal cookies. It has beautiful photos of almost every recipe for visual learners, like me. It also includes a chapter on clean eating for special occasions. It's very easy to use and includes vegetarian, gluten-free and vegan options. How long did it take to lose over 60 pounds? TR: I managed to lose my weight in a very short period of time. It took about nine months to lose the 70 pounds of excess fat I was carrying. When people begin the diet they can expect a weight loss of three to five pounds in the first week depending on how much weight they have to lose. In the weeks to follow a healthy average weight loss of two to three pounds a week can be expected. However, I have had people tell me they lost as much as 15 pounds in the first week. How much exercise did you do? TR: I did a lot of cardio initially. I lost weight doing it but I was just a smaller version of my former, flabby self. It wasn't until I discovered weight training that I really developed a shapely, toned physique. Now I train with weight five to six days a week for 30 minutes, and I do cardio three times each week for 30 minutes. As you can see, I don't spend hours in the gym. It's simply not necessary when following clean eating. You can get even more information on my exercise plan and what I recommend regarding training from the Eat-Clean Diet Workout book and DVD to be released early in the New Year. Is your workout suitable for beginners? TR: Absolutely! I've made it completely user friendly and it includes a DVD for those of us who need visuals. There is an entire section dedicated to beginners, as well as more difficult programs for intermediate and advanced enthusiasts. Is there any special equipment needed? TR: It is definitely possible to get a full workout at home with a few pieces of relatively inexpensive workout equipment such as a mat, dumbbells, barbells and a jump rope. There will be an entire section in the Eat-Clean Diet Workout dedicated to a full-body routine that only requires a few dumbbells. More intense workouts may require a gym membership with equipment, but it's not necessary. How do you maintain your weight now? TR: I eat clean every day! I exercise with weight four to five days a week. I do allow myself the odd treat, such as an oatmeal cookie, every now and then, but it's all about how determined you are to keep the weight off. I have done it consistently for seven years because I changed my lifestyle to an Eat-Clean lifestyle! TR: It's never too late to start. I have had friends who have picked up the book and made changes at 76 years old! If you want it badly enough, you can do it. After the first few days your cravings will go away and you will start to see changes. This will be motivation enough to keep going and make a full lifestyle change to Clean-Eating! Tosca is living proof that with proper nutrition and exercise, anyone can get a fit, healthy body. LoveToKnow would like to thank Tosca Reno for taking the time for this interview.